Mel’s in BIG trouble! Strange things are happening to people – have you noticed? Just ask my best friend, Mel. She’ll tell you all about her brother Danny disappearing and what it’s like to be in a secret cadet force. She’s even developing super powers too! Mel’s the Line Walker – the one who can walk on the veins of Earth and travel through time. But Force 9 is trying to take over Earth and Mel needs to stop them and find her brother. I just hope she’s OK and makes it in time. Caroline Lake started writing stories and poetry as a hobby. She studied public relations, freelance journalism, and basic screenwriting with the Writer’s University. Caroline is a radio presenter and writes occasional book reviews. 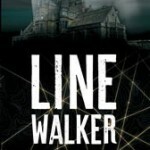 Line Walker is her first book. 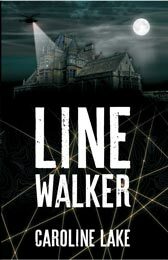 Be the first to review “Line Walker – Caroline Lake” Click here to cancel reply.